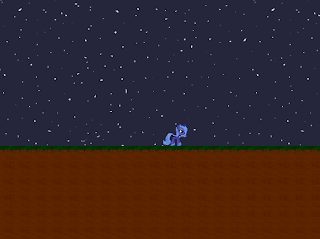 Although this program by futzi01 (pony flash game maker nonpareil) isn't technically a "game" per se, it's quite handy and elegantly programmed (plus I love maps). So here it is. 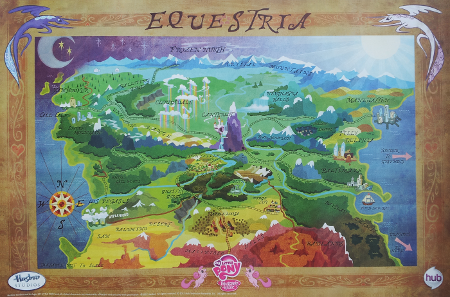 This nifty piece of Flash takes the Official Map of Equestria Season 2 poster and gives you a little blurb from the location's MLP Wiki page upon hovering with your mouse. Also, clicking on a location will link you to the full article. With new locations and information being added as it is called for, this program is quite helpful for anyone who wants to get a sense of Equestria as a whole. Demos, demos everywhere. Speaking of demos, here's the demo for MLP: Rise of Vicis by Negation Squared Productions, which was released some time ago to give us a sense of how the game will work. Rise of Vicis is an expansive adventure/platformer game currently in the works, and in this demo, you get a chance to play as each of the Mane 6, each with their own unique mechanics, on their way to a picnic thrown by Pinkie Pie. This game, made in GameMaker 8, definitely has promise. 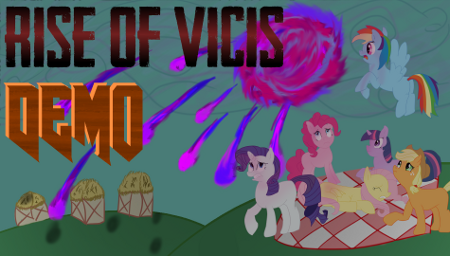 The plan for Rise of Vicis is very expansive, spanning eight worlds as the Mane 6 seek to regain their cutie marks and defeat the titular villain, Vicis. All in all, it's a nice demo, but the real meat of the game is still to come. You can check out a bit more about the project in development on their Facebook page. 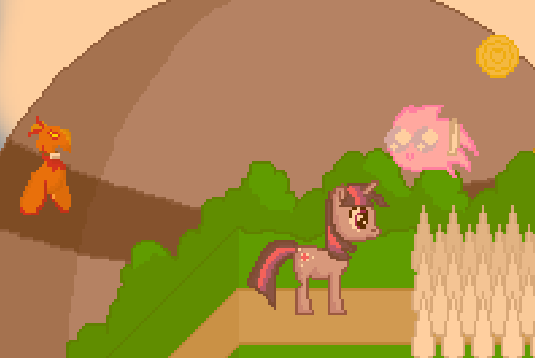 That's right - the demo for Pinkie Pie's Perilous Platforms (a very promising platformer by Sylver's Edge currently in the works) has been released for us to play. Four special demo levels to be exact, which demonstrate the game's mechanics in their current state. My overall impressions of the game are quite positive, even though the demo content is said to not be indicative of the final product. The goal of each stage in the demo is to simply collect all of the bits before time runs out. Featuring smooth mechanics and an upbeat 8-bit soundtrack by RainbowCrash88, I have high hopes for this game, and look forward to its release! You can check out the game's second trailer above. One year and a week after the release of Luna Game 0, the creator of the Luna Game series has finally given us another game; the final game of the series: Luna Game End. The name is short but sweet; at long last the true end to the series has been released, but is it all that we could hope for? That’s up to you to decide. Luna Game End (Luna Game 5) is the direct sequel to Luna Game 4. If you haven’t already played Luna Game, Luna Game 2, Luna Game 3, Luna Game 4, and Luna Game 0, you might want to familiarize yourself with those game now. 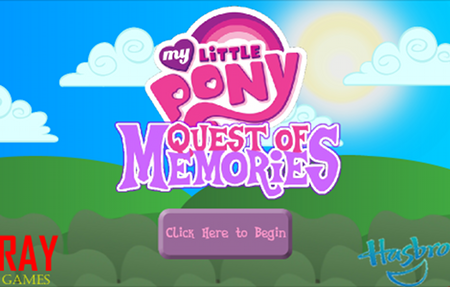 For a while now there has been a visual novel-style game in the works with the title My Little Pony: Quest of Memories. We didn't bother to give them a post since they didn't really have much to show for their project, but now that they've released a demo showing off the cutscenes we figured that we might as well give 'em the post they wanted. I'm not a really big fan of visual novels, but I hear that some of you folks like them so we thought you might be interested in this. A huge round of brohoofs to all of you who turned out and made Everfree Northwest a rousing success! Everyone we met was cheerful and upbeat, and even if you didn't run into our little delegation, we hope you had a fantastic time. Pony gaming was in full swing at the 24-hour gaming room when we arrived, and between Super Smash Bros., karaoke, ponified games of Magic: the Gathering and the Fighting is Magic leaked beta, it stayed packed the whole day. We even witnessed a few massive sing-a-longs. Unfortunately, due to Enigma's underhanded tactics and the severe lack of best pony in the game at the time of the leak, I lost our Equestria Gaming Fighting is Magic grudge match. Good thing the con comes around again in less than a year - hope to see you all there! Everypony loves Legends of Equestria, and if you don't then this update might just convince you to follow this game more carefully. They show off a ton of new features such as the inventory system, a new flight system, an upgraded Everfree Forest, fireballs, and a visitable Tartarus! Sadly enough there is still no release date in sight, but I'd rather have a well-polished game later then a buggy and unfinished MMO now. And one more thing. It keeps bothering me in that the game has a very distinct lack of cartoon shading for the ponies, and without it they look rather...ugly in their current, untextured state (no offense). Perhaps they should look into a similar shading system as what PonyKart uses, eh? Recently we posted about a fangame with the title My Little Miner: Disturbance is Magic that seemed to be centered around digging around for gems in a volcano. The creator said that he was releasing a beta soon, and it turns out that by "soon" he meant 4 four days later. So if you're interested in trying out this Flash/HTML5 fangame then head on over to http://mlm.blitzspace.com/ and give it a play. He also wants feedback on his game's beta so if you have any then send him an email over at BlitzProg@BlitzSpace.com. Update: Apparently this trailer was a hoax. Ah well, at least the 5th Luna Game should come someday...right? This appears to be some kind of trailer for an official 5th Luna Game that was sent to us in an email. Mysterious, eh? Time to speculate! Recently we have been seeing an increasing number of game remakes with ponies added to them such as Megapony & Silent Ponyville, and continuing the trend comes My Little Miner: Disturbance is Magic which appears to be a remake of the iOS game Miner Disturbance. Pretty much it's centered around digging for gems under a volcano with a pony for a partner and will apparently use either Flash or HTML5 depending on what your browser supports (I prefer the latter). Pretty neat, eh? It'd be really great if we could include this game on the Arcade come release day, but we can't guarantee anything since in the end it is all up to whether the developers want their game included on the Arcade or not. Yeah, you heard that right. Enigma and I have dipped into the vast EQG treasury and chartered a plane from our headquarters in rural Mongolia, and thus will be seeing you all at Seattle's first annual pony convention. We'll be there all day on Sunday the 19th, and might be hanging out around the gaming room. We won't be doing any panels or interviews, just seeing the sights - so if you see us, don't hesitate to come up and say hello! Our fandom has outputted a decent amount of creepypasta games, but for the longest time there has only been one true horror game and that would be Silent Ponyville. It has been under development for almost a year now and is based off of the well-known fanfic with the same name, and we've decided that it's about time this rather interesting game gets a (brief) post. I've never been a fan of the games whose so-called "horror" consists of trying to disgust players with horrific corpselike monsters, but hopefully Silent Ponyville will focus more on the psychological side of horror then many of its trashy peers. By the looks of it development should take a couple more months and it is being produced with the Blender Game Engine which means that it should support most desktop platforms including Windows, Mac OS X, Linux, and even FreeBSD! The game also has a playable demo from December '11 (Windows-only, so I didn't get to play it) that can be accessed over at http://silentponyville.blogspot.ca/p/demo-christmas-special.html in case you desperately give this game a shot, no matter how outdated the build is. Oh, and did I forget to mention that the game's soundtrack has a Youtube playlist? It contains some great stuff, and I highly recommend listening to if you're interested at all in video game music. My disdain for generic Pinkie Pie platformers is quite infamous. In my opinion there are simply too many of them around, and it's almost grown to be somewhat of a cliche. Yes, Pinkie Pie may be a natural choice for platformers given her fondness of bouncing, but it would be really nice to have a Fluttershy platformer every once in a while. However just because Pinkie Pie platformers in general are rather lousy doesn't mean they all have to be, and the brilliantly titled Pinkie Pie Platformer promises to be the best of the bunch. It has it all: fun gameplay, great graphics (parallax scrolling! ), and music that won't make your ears bleed unless Ghostbusters somehow scarred you as a child. The game is about halfway done at the moment and features a playable beta version for you to enjoy until the final version comes out (which the creator estimates will be in about 4-5 days). Enjoy! Also is it just me or are playable betas for My Little Pony fangames starting to become somewhat of a trend? It would be great if it is, as I like being able to play a game before the final release and helping report bugs. Do you folks like having playable beta versions? The "Twilight Sparkle defence shooter" genre may not be as oversaturated as the Pinkie Pie platformers and cloud dodgers, but Penta Studios (those loveable folks who created Waiting is Magic) seems to think otherwise with the announcement of TWALAGHT SPARKUHLZ REVENGSHE. Slated for release on the 10th of August TSR seems to be the joke game at its finest, with absurdly powerful weapons and perhaps the ugliest parasprites we have ever seen. There's almost no doubt that it will be a blast to play when it comes out given its origins, so be sure to check back on the 10th for this awesome game. And will it cure cancer like Waiting is Magic did? We have no idea, but beta testing has proven that every 1 minute of playtime adds 1 year to your life. Play this game enough and you'll be practically immortal! 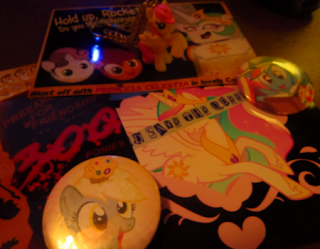 Down in the magical land of Seattle some folks decided to create their very own pony-themed arcade Cabinet, and unlike many awesome ideas that never come to fruition (such as my beer cannon that uses beer cans as ammo) they actually went out and created it. Given the games that they showed running on the machine Given the fact that it runs Galaga '88 some might assume that the machine uses a Namco System 1 board, although I suspect that it is really powered by a PC with an emulator program installed. Some of you folks should try making your own Arcade machine sometime; it's actually quite easy if you are familiar with carpentry and have the technical know-how. After the break you can find three embedded galleries of the cabinet during the production stages. Enjoy! Scheduled to be reviewed much earlier, My Little Pony: Magic Shards was delayed due to issues with Wine on Xtux's computer. The task fell to me, and now, at long last, here's the review! From Dark Era Studios comes an extensive pony platformer with all the bells and whistles. With 22 stages (not counting bonuses) over four worlds, this is certainly a game to take seriously. But does its potential for entertainment measure up to its length? Read on after the break. Go ahead, make my day. A while back this one guy put a preview for a Pinkie Pie platformer up on Youtube, which doesn't sound that impressive except for the fact that it was created in RPG Maker of all things. Now he's back, and by the looks of it he's trying to create some kind of shooter in the same engine. If it is ever completed I expect the gameplay to turn out somewhat like a singleplayer version of Realm of the Mad God, although it's rather doubtful that it will ever be released. Oh yeah, are you interested in playing it? The creator released a playable demo on Dropbox and can be found over at https://dl.dropbox.com/u/77265517/Pony.zip. Perhaps he's appreciate it if you give 'em some feedback in your comments, eh? Man, I find out about two top-down pony shooters in a week? I must be dreaming. DeftFunk's relatively new game is based off of the thestoicmachine's unusual comic Rainbow's Wake. Rainbow Dash has stolen Twilight's horn, and the resulting insanity lends itself perfectly to bullets and explosions. Does the game live up to the oddball humor of the comic? Yadda yadda yadda and more, after the break. 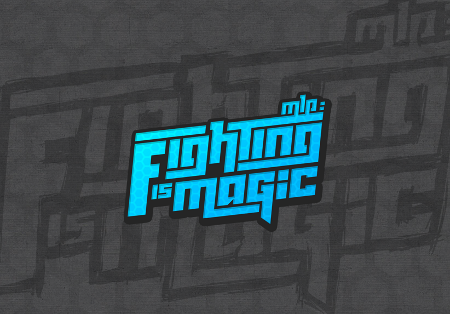 Mane6 has responded to their initial response following the Fighting is Magic leak. You can find their post here. It's a long one, and it clears up a bit of confusion, so it's worth a read. I promised myself I'd beat this game on Pony Mode like a man before I reviewed it. Two days later, I've emerged bloody but victorious, and I'd call myself qualified. For over a year, huod umop apisdn (get it?) has been developing this classic Touhou-style game, which we posted way back in the day. The download link above goes to the games' development blog, which also contains download links for the XNA and Microsoft .NET frameworks required to play the game. If you want to see the game before committing to downloading all this stuff, the team released a trailer here. Bullets! Ponies! Bullets! Starcraft! Friendship! Bullets! That stuff, as well as some (hopefully useful) advice, after the break! 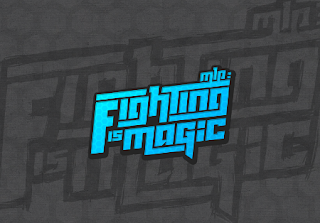 In a quite shocking turn of events, a working build of Fighting is Magic was leaked to the internet by an undisclosed member of the game's Quality Assurance program. Needless to say, this brought Mane6 into lockdown mode, cancelling their QA program, suspending Bite Sized Updates, reverting to a completely closed development cycle for at least a few weeks, and scrambling to clean up the mess this has created. You can read Mane6's open letter about the situation here. I personally would discourage you from downloading/distributing this, as it was in no way the team's intention, and the build was meant to be strictly internal for a reason. I strongly support waiting for the full release of this game, out of respect for all the work that's been put into it, but in the end, it is your choice. August 1st has arrived, and like the first of any month, it's time for Lyra's List. 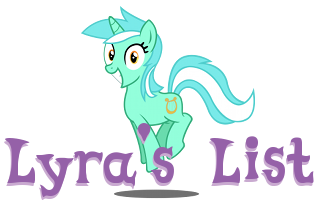 The deadline for all Lyra's List #5 submissions is August 31, 2012. It's a short list this time around, but you should definitely check out the project concepts to be found below the break! I've always wanted ponified remakes of classic videogames, and we don't get them very often (and no, Pony Fantasy 6 doesn't exactly count as it is a mod, not a complete remake). 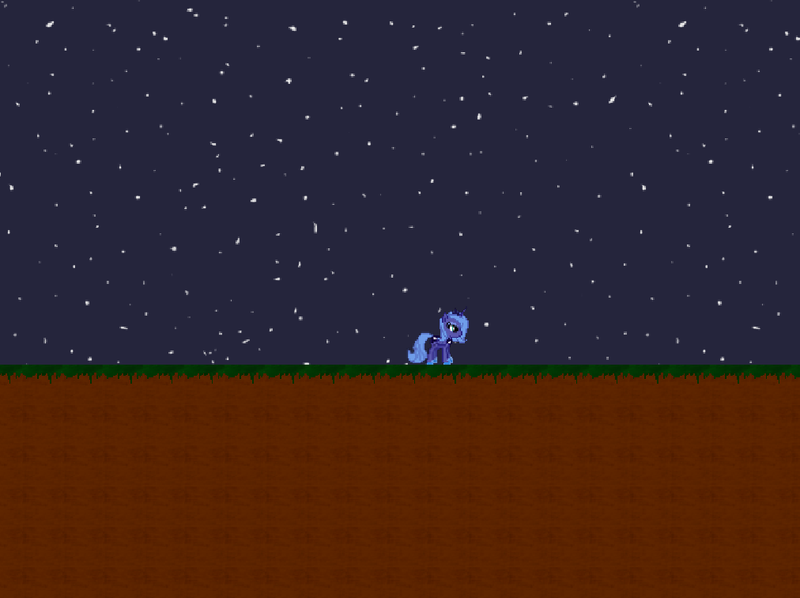 A couple months back a rather interesting game called Megapony was announced that promised to be a MLP Megaman game, and despite my personal opinion that it would never come to fruition a playable beta version has been released. Now I won't lie to you: I am terrible at Megapony but it is great fun and I look forward to the eventual release of the full game so I can review it, and trust me when I say that this game will be getting a very high score from me as it is already one of the best playable fangames out there right now (and way better then PurpleTinker's Quack Quest, which was apparently intended as a trollgame). Interested in playing Megapony? You can download it over at http://www.mediafire.com/?99hvd3x7sibkv8g. Hope you like it! Few online games have reached the same level of legendary infamy as the infuriating QWOP. It's frustrating. It's bewildering. And, unfortunately, it's addicting. Meanwhile, the Equestria Gaming R&D department developed the Pony Proliferation Postulate: one minus the reciprocal of the Faust Constant to the power of internet notoriety times time since the premier of My Little Pony: Friendship is Magic is equal to the probability of content ponification, or P(p) = 1 - (1/F)tN. The brilliant Donitz applied one to the other and discovered it was high time we controlled a jelly-legged Twilight Sparkle attempting to cross her own floor. 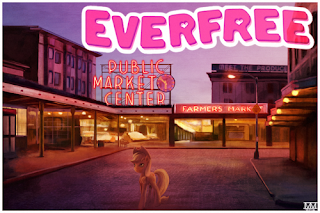 Usually over at Equestria Gaming we post fangames, not make them. 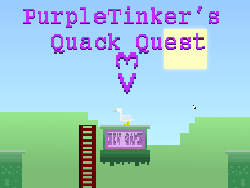 However Xtux was rather bored a couple nights back so he created a cheap fangame starring PurpleTinker, founder of BroNYCon, as she goes around chasing ducks. Why does the woman like ducks so much? Apparently some stupid people over at Memegenerator tried making a forced Purple Tinker meme but it was hijacked by somepony who turned the PT-hating into jokes about ducks. So there's a lesson for future generations: never make a forced meme unless you want it hijacked by trolls. Anyway, the game can be played exclusively over at our Arcade. Hope you find it at least somewhat amusing. Night!